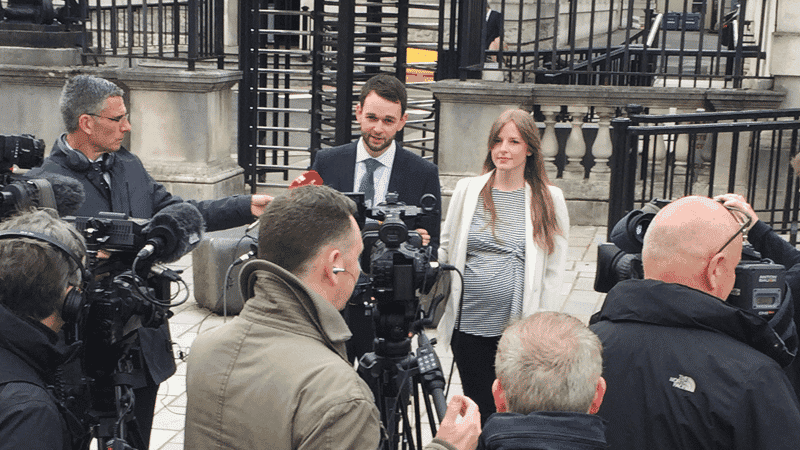 Daniel McArthur, General Manager of Ashers Baking Company, has spoken of Jesus’ sustaining power during the difficult four years of legal challenges. Addressing journalists assembled outside the Royal Courts of Justice, as the Supreme Court prepared to hear their case, Mr McArthur said the issue of ‘compelled speech’ is central. Ashers’ owners are defending themselves against an Equality Commission for Northern Ireland charge after they declined to decorate a pro-gay marriage campaign cake. We were asked to use our creative skills to endorse a message at odds with everything we believe – and were sued because we said we couldn’t do that. We didn’t say no because of the customer; we’d served him before, we’d gladly serve him again. It was because of the message. This has always been about the message. We’d rather it hadn’t come to this. This isn’t what the law is designed to do. And it’s not just us that feel this way. Many people are worried about what all this could mean. We’re often asked how this case has impacted us as a family. It’s been hard. But we don’t go through this alone. Jesus Christ has been with us every step, sustaining us with His grace and His peace. Judges at the UK’s highest court are currently considering the Ashers case. For updates, follow us on Twitter and Facebook.